Design, manufacture, installation of a playground with Robinia Playground equipment aimed for small children. 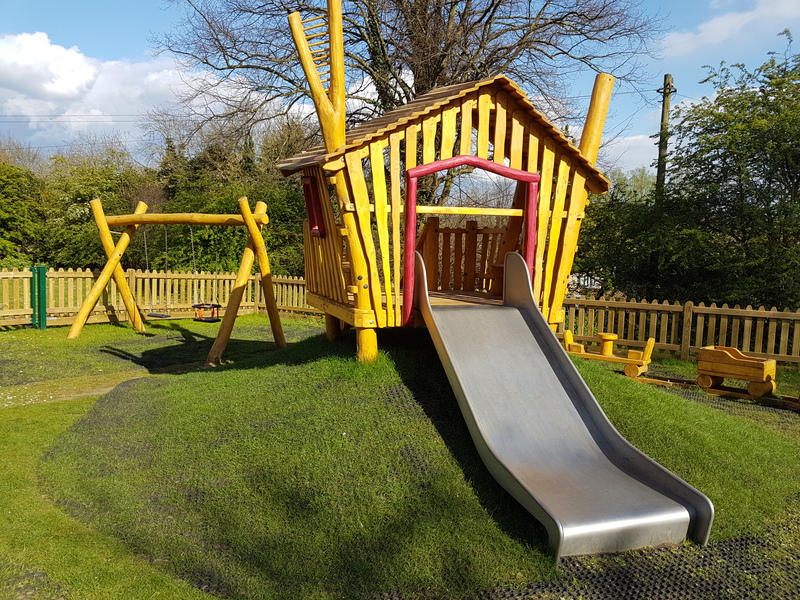 The main unit is situated on a small gently sloped mound, offering a large play house with a wide slide of stainless steel, height 1.5 m.
To avoid for wear and tear of the grass by heavy usage, we have covered the mound with grass matting, laid onto lawn turf. 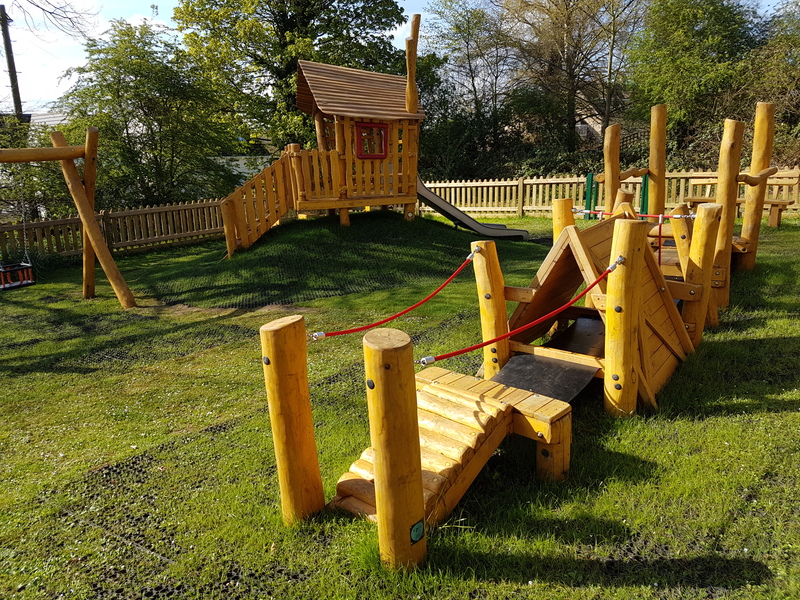 This playground offers a great amount of playvalue ranging from standard playground activities like sliding, swinging and climbing, as well as sufficient space and opportunity is provided for imaginative play. We designed a bespoke train and "crawling route" for the very small ones. 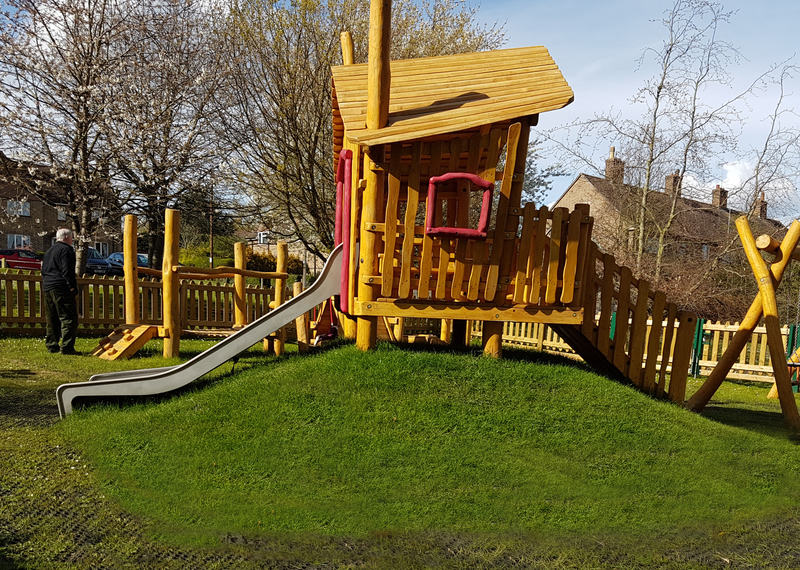 A wooden fence with a 20 year guarantee surrounds the play area.